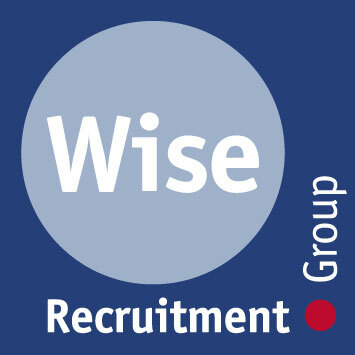 The Wise Recruitment Group is one of the largest independent employment agencies in the South West, with an established brand identity and network of branches throughout the region. We are continually looking to invest in growth sectors, adapting to a challenging and invigorating environment whilst ensuring that the quality of our service is maintained. We are proud members of the REC (Recruitment and Employment Confederation) and are ISO accredited across our network of branches. As an independent agency we can offer you more than just a job, we will offer you a career. We give full training and work with you to develop your skills and plan your career path. With a combination of one to one and classroom training, from your line manager and our dedicated Training and Development Manager, we will ensure you have all the tools you need to be successful. Being a Consultant with the Wise Recruitment Group is not your only option. We are always developing our team and always try to recruit our management team from within our network. You could be head of one of our specialist sectors; developing the sector, rolling it out to the network, building your team around you as you go. You could become a Team Leader, working with a small team of Consultants using your management skills for the first time. But don't worry - you will be enrolled on to ourTeam Leader Academy before you take full responsibility of your team. regular sales completions to enhance your earnings and opportunities to win prizes, such as holidays. a modern and exciting forward thinking company who will listen to your ideas. Everyone who works for the Wise Recruitment Group, knows they are a valued team member. So if you are a top performing Recruitment Consultant and feel ready for the next step in your career, want to join a team that will benefit from your experience, as well as offer you daily challenges and help develop your career further, then contact us today!